Save 50% on Overhaul Kits! THERE’S NEVER BEEN A BETTER TIME TO OVERHAUL YOUR ENGINE. 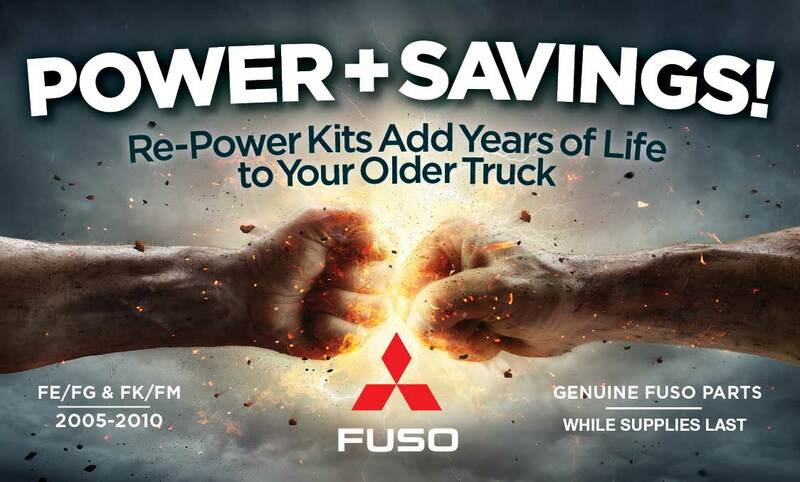 If your older FUSO truck is ready for an overhaul, NOW is the ideal time to do it. With 50% savings on exact-match Engine, Cooling and Fuel System kits, the cost will never be lower. And with Genuine FUSO Parts quality, your truck’s e ciency and power will be as dependable as ever. Every FUSO overhaul kit come with our normal parts warranty that covers 12 months and unlimited mileage. An Overhaul Turns Back the Clock. With all the miles you put on your truck, it makes sense that you’ll eventually need to give your engine a reboot. An overhaul is a great way to give your truck more years of income-earning productivity. It maximizes your original investment, without the higher cost of replacing the engine. When is it Time for an Overhaul? The most obvious signs tend to be power loss, poor fuel mileage, and excessive oil consumption. Trucks that have been running for over 5 years and 125,000 miles are good candidates for a rebuild. Make Sure It’s a Genuine FUSO Overhaul. FUSO overhaul kits are always an exact match for your engine. They provide all the Genuine FUSO Parts to do the job, so you know the quality is exceptional. Our factory trained technicians assure professional installation with quick turnaround to get you back on the road quickly. CHOOSING YOUR FUSO ENGINE RE-POWER KITS. FUSO Genuine Engine, Cooling System and Fuel System kits are sold separately, but it’s a great idea to purchase and replace them at the same time. 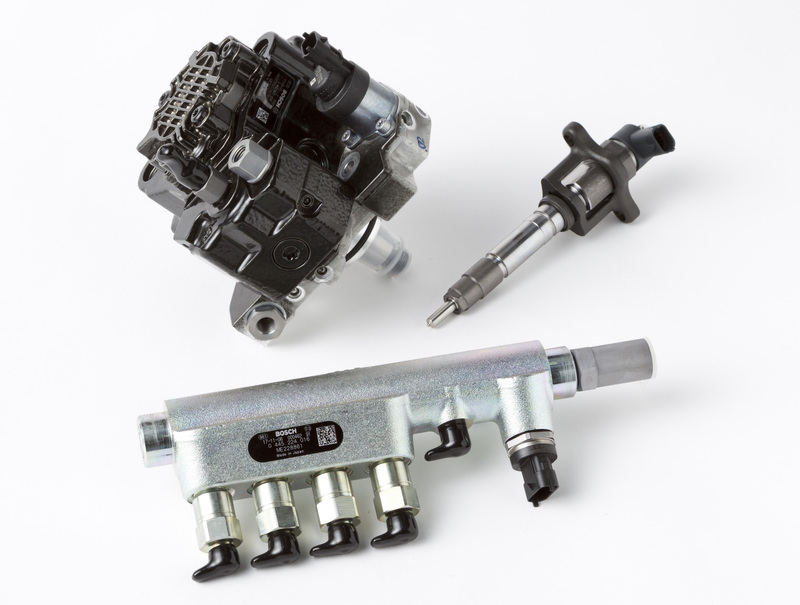 Your FUSO dealer can order kits for FE/FG trucks model year 05-07 and 08-10, and FK/FM trucks model year 05-07 and 08-10. Provides all components for a complete engine repower. 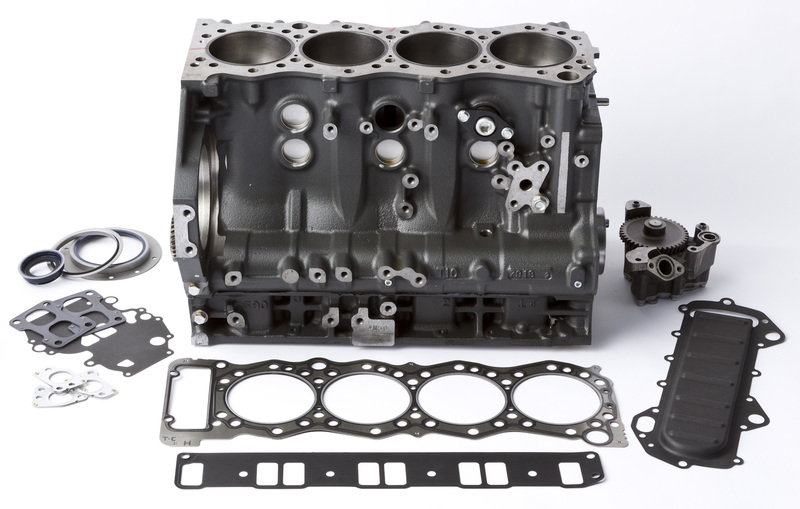 High quality Genuine parts, including short engine, oil pump, valves, springs, gaskets and more. Delivers a rebuilt engine that meets OEM standards and extends engine life. See your dealer for full parts list. 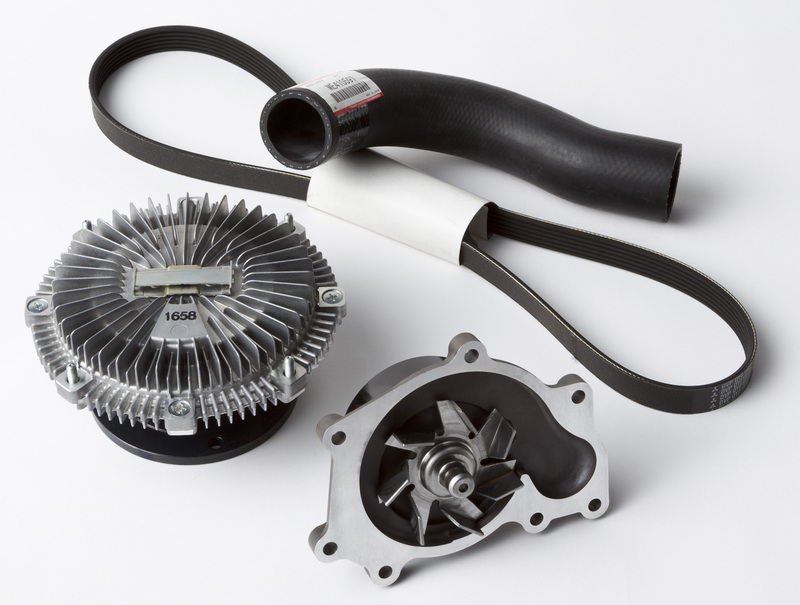 Overhaul your cooling system with new radiator hoses, belts and key components to keep your engine at the optimum running temperature. Includes a water pump for added reliability and peace of mind. See your dealer for full parts list and prices. All the parts needed to bring your FUSO engine’s fuel system up to factory standards. Includes fuel injection pump, injectors, and gaskets for dependable, e cient delivery of today’s fuels. See your dealer for full parts list and prices. NOTE: Engine Kit must be purchased to receive savings on Cooling & Fuel Kits. Pricing shown is for kit parts only and does not include labor or additional parts deemed necessary during disassembly. Kits are not refundable or returnable. Other restrictions apply. See your FUSO parts department for details.